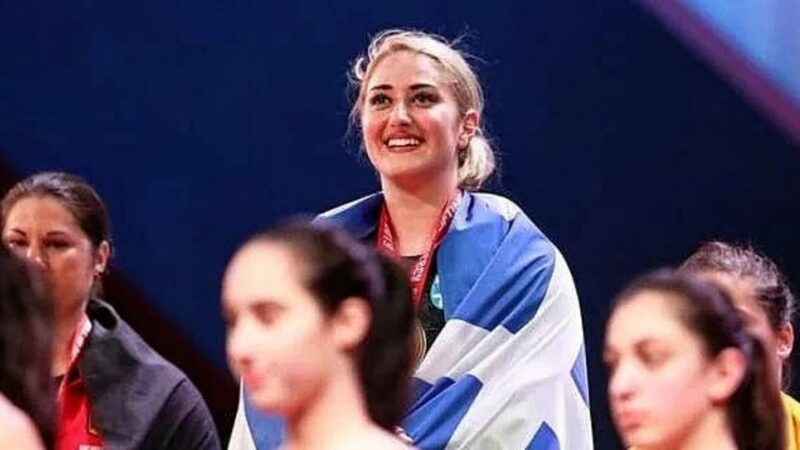 Weightlifter Eleni Konstantinidi, 24, won two gold medals and a bronze for Greece at the European Championships in Batumi, Georgia. The Greek athlete won a top spot on Friday with her clean and jerk in the 81 kilos category, becoming the first athlete in 16 years to win a gold medal at the European Championships. The two wins safely put the athlete among the best in weightlifting, and a bronze medal for the 97 kilo lift was also quite an accomplishment. The young athlete said that she felt confident about her wins but was especially moved when listening to the Greek National Anthem. She said it was a feeling that could not be described. Konstantinidi is no stranger to the weightlifting world. As the daughter of veteran athlete Chris Konstantinidis, she is aware of the effort and persistence required in the sports.